Certain List tasks are available to Organization admins only. These include creating, renaming, or deleting a List. SalesforceIQ provides a default Opportunities List to all new Organizations. You can customize this List as needed. In addition, Organization admins can create new Lists as described in this article. Any List you create can be composed of Account or Contact List objects (leads, opportunities, etc.). Note: As a best practice, we recommend having fewer Lists. Each List should represent one of the processes you manage. For help with deciding whether to create a new List or add objects to an existing List, see Considerations for creating a new List. On the screen that appears, click Lists, and then click Create a New List on the right side of the screen. The most common List types are displayed. To create one of these Lists, simply select it. To create a different type of List, select Other. 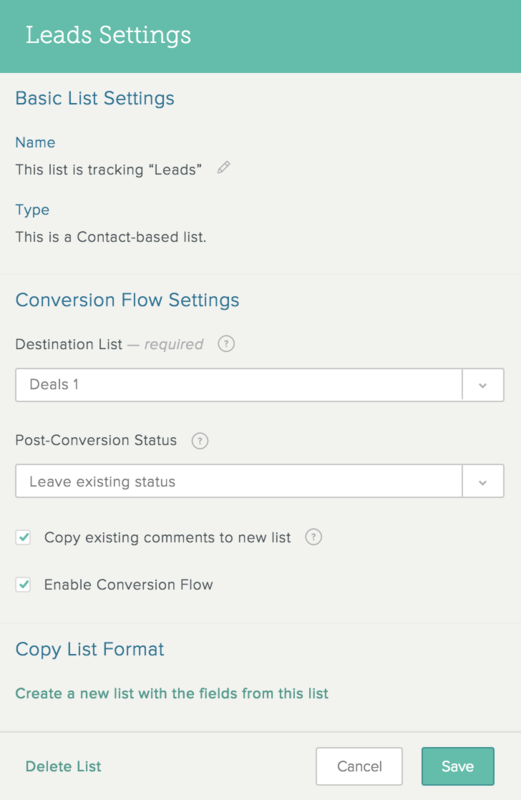 Each default List is set to track companies (an Account-based List) or individual people (a Contact-based List). To track your data in a different way, click the Switch to track option below the List type. If you selected the Other List type, select whether you want to track companies or indviduals. 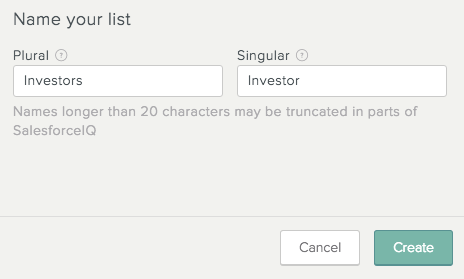 (Optional) Under Name your list, the fields are populated with the plural and singular forms of the entries being tracked by the List. You can enter new names if you want. The plural form becomes the List name. The singular form becomes the heading for the first field in the Grid view. See List Naming Best Practices for more information. Click Add [List object] to start adding the objects you want to track for your process. 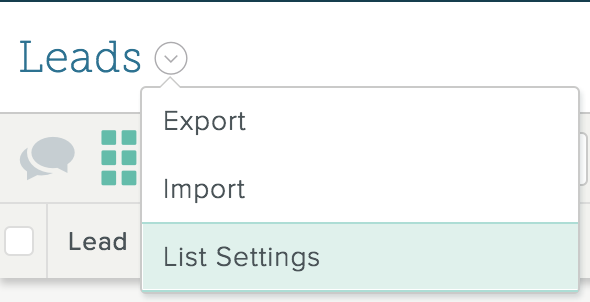 Your new List appears with the default fields Status, Owner, and Created. You can add and remove fields, and add and remove List objects, at any time. We recommend entering a name of no more than 20 characters. If you enter a name of more than 20 characters, a warning message appears. Names of more than 20 characters may appear abbreviated with an ellipsis (...) in the SalesforceIQ app. You can use a List name (plural form) only once for all Lists on which you are a collaborator. 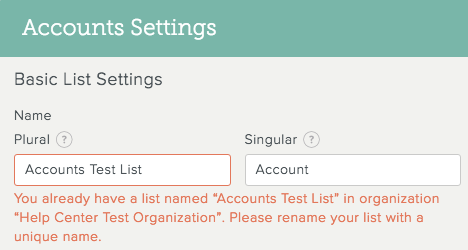 If you enter a List name that is already being used, an error message appears, and you must select another name. If you already have a List named Leads, Opportunities, etc., you can keep that name for the List. However, the List creation tool still prompts you to enter the singular form of the noun. Organization admins can rename or delete a List. Admins from either the Stream or Grid view. Search for the List in the main search page, or click at the top of the screen, select Settings, select Lists, and then click the List name. Click the List name at the top of the screen, and then click List Settings. To rename the List: Under the Name heading, click to the right of the List description. Enter the plural and singular forms of the name you want for the List. The plural form becomes the new name. Click Save. To delete the List: Click Delete List. On the confirmation screen, enter DELETE THIS LIST and click Delete List. Note: Comments, notes, and manually logged events are all stored at the List level and are permanently deleted when you delete a List.